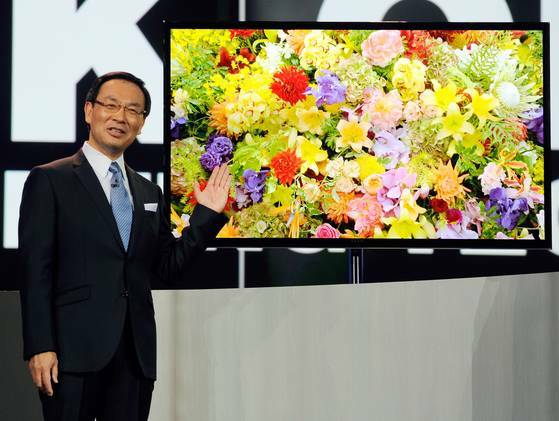 4k definitely seems to be the theme for CES 2013 following Samsung’sannouncementof their 85″ TV, and now Panasonic have joined the party by unveiling not only a 20″ tablet running Windows 8, but also a 56″ 4k OLED (organic light-emitting diode) TV. Unfortunately Panasonic were not very forthcoming with details, including pricing or availability, but did take time to discuss their new My Home Screen feature which will feature in a whole new line of 2013 Viera HDTVs. The new technology uses a webcam built into the TV to make the whole experience more ‘personal’. Originally installed for Skype support, the function has been expanded to tailor a list of favourite channels depending on who is viewing the TV set at the time by using a stored picture of each viewer. “Interacting with the TV has never been easier,” said Panasonic vice-president Vic Carlson at a press conference at CES 2013. This functionality will also be accompanied by remote controls that include voice control and a ‘radically’ redesigned look that moves away from the standard build of what we know as remote controls. Panasonic are also focusing on ‘Swipe and Share’ technology to move content from mobile devices to the TV in order to bridge the gap of content consumption in our living rooms. It seems Panasonic have clearly identified a gap they feel can be filled with their new products, and if the execution matches the great ideas that were presented, then it will be a very exciting time in the TV space over the next 12 months. What is of more interest is the 20″ Windows 8 tablet that accompanied the announcement, which runs at 4k resolution. The tablet uses something called uses Anoto technology that allows a user to input digital writing on a tablet or TV screen. Again, no pricing or availability were revealed, so we’re just left dreaming on when I will be able to chuck my money at it.